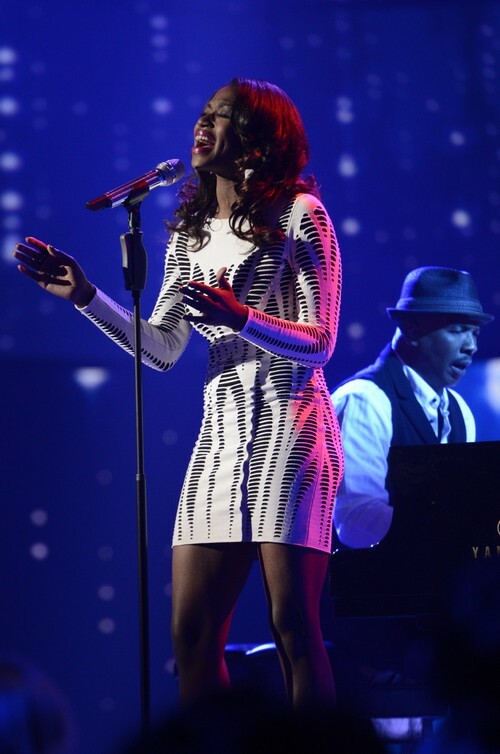 Houston, Texas native AMBER HOLCOMB performed “What About Love” by Heart for her Top 7 AMERICAN IDOL performance tonight. Did you watch tonight’s show? We did and we recapped it here for you. The theme for tonight’s performance show was Classic Rock, No Ballads. The contestants were warned no ballads, love songs or soft songs. There have been a lot of ballads performed by the contestants this season, so I guess they want to see how the idol hopefuls can rock it out. Amber still has not got the recognition she should, her performances have been amazing. We this week America will agree and not place her in the bottom 3.